Attractively situated on the brink of Nybroviken in central Stockholm, 7A Strandvägen offers luxurious flats for formal meetings and festive events. This is a unique Art Noveau style venue with quality running through every aspect of its spatial layout as well as staff competence and experience with all kinds of gatherings. 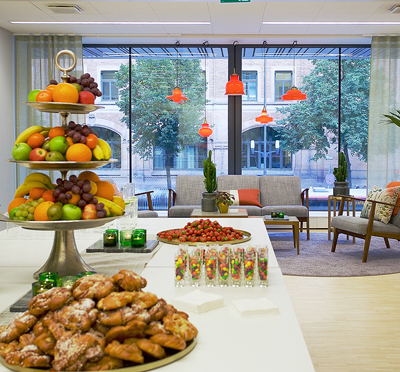 The 15 stunning conference rooms at 7A Strandvägen all enjoy a view over the water of Nybroviken. With tasteful interior design, the latest within conference technology and flexible seating arrangements, the flats can accommodate meetings of all sizes and formats, from 2-230 participants. With meeting rooms spread over three floors, 7A Strandvägen can ensure complete privacy if so desired. Most of the rooms are situated on the third floor, whereas the floor above offers three flats. Additionally, the exquisite parlour (Entrésalongen) located on the ground floor offers a private entrance for guests. 7A Strandvägen is situated in one of the most attractive locations in central Stockholm. While it enjoys all the convenience of a city-based venue, its placement by the water a minute or two away from the bustling and vibrant east part of the city places the meeting guests in calm surroundings. 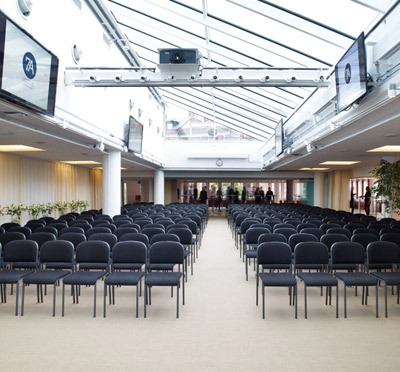 Easily accessible from the Central Station by foot (10-15 mins), by car (5 mins), or by public transport (5-10 mins), 7A Strandvägen is the ideal city venue for modern meetings. Have you been to 7A Strandvägen and want to give your own comments? Centralt belägen konferensanläggning mitt på Odenplan, från små kreativa möten upp till 250 pers.